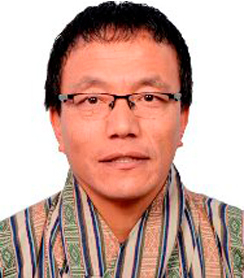 Kinlay Dorjee is the new Thimphu Thrompon-elect. The lone contestant was re-elected after securing 2,107 ‘Yes’ votes and 150 ‘No’ votes. Of the 7,278 registered voters, 2130 came out to vote of which 97 percent cast votes in favour of Kinlay Dorjee. Kinlay Dorjee has promised another expressway. The six-kilometre expressway, which would connect Chang Bangdu with Debsid, would be one of the major projects undertaken. The thrompon-elect, who completed BE Electrical from India and Masters from Canada, said with not much roads to be built in the city, the expressway would be completed within five years depending on the availability of funds. Kinlay Dorjee said he is confident his pledge would materialise. He said not a single private household will be affected as the construction will fall under the premise of the government land. He also pledged to address sewerage issue, clean Norzin Lam by relocating all the meat shops and initiate public-private partnership in various fields, among others. ECB will declare the official results.